3. Celestron 72022 SkyMaster DX 8x56 Binoculars. Love to look up at the stars? Congratulation! You’ve landed on an article that’s entirely written for you. If you love astronomy, maybe one or two telescopes and a decent pair of binocular are the gadgets you must own. In case you’re a beginner astrologer, then you’re likely to use the binocular even more than the telescopes. But when you’re up in the market to buy the best binoculars for Astronomy, that’s where the challenge begins. As you’ll be observing moon, stars and galaxies with an astronomical binocular, the magnification should be at least 15x, 20x or higher. Also, to capture larger amount of sky at a time, the field/angle of view should be high. And lastly, the objective lens size is another important factor to look at. Long story short, you’ve to consider multiple buying factors to end up with a good quality astronomical binocular. And doing the mammoth task alone, is however, not an one-man’s job. Don’t give up yet. We’ve got you backed up at this point. This very article you’re in right now, is the hands-on review of best astronomical binoculars of current market. Take a few minutes and go through the whole piece to find the one that fits within your demand and budget. These days Binoculars for astronomy come in a wide range of shapes and sizes. And it takes the right information to select the best astronomy binoculars among the lot. It is easy to get your optic at a very low cost or at an enormous amount for what may appear to be, at least outwardly, comparable models. While they may have the same look, on the inside they are quite different. The cost may not necessarily determine the performance and durability. There are still a number of binoculars that are cost-effective but yet deliver the best performances. The Celestron SkyMaster Giant 15x70 Binoculars with Tripod Adapter are among the most cost-effective yet efficient and high performing binoculars for astronomy on the market today. 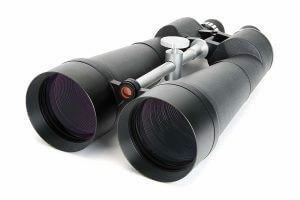 If you are considering a pair of giant binoculars for your stargazing, bird watching and other recreational use, and have a limited budget, this binocular represent an excellent value. They are designed with a multi-coated optics and BAK-4 internal prisms, two features that ensure brighter, better images, and the key points to look for when judging a pair of binoculars. They also come with an adapter for attaching them to a photo tripod, which is a must to use them to their fullest, and more serve as a carrying case. 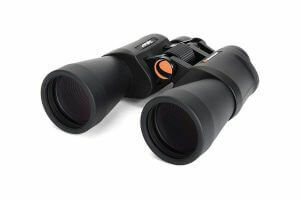 These binoculars are great for both astronomy and long-range terrestrial observing. They are indeed among the best binoculars for astronomy. 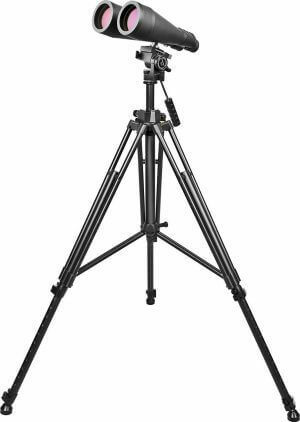 The tripod adapter on the extremely large 25x100 model provides support and increased rigidity. The recommended tripod and head combinations numbered as accessories here are not overly unnecessary for the application; they are rather spot on. Giant 100mm objective lens that offers maximum image brightness in low-light and long-range conditions. Four element objective lens for ultra sharp focus across the field of view. Also, it has a Porro prism optical design. Multi-coated optics for sharp, clear views. It's suitable for long range terrestrial or astronomical viewing. In addition, there is a long eye relief for comfortable viewing suitable for both eyeglass wearers and non-wearers. It has rubberized armor covering for ultra-firm grip. Integrated tripod adapter rod for ultra-stable tripod mounting. Deluxe padded carrying case for travel and safe storage. Also, the waterproof housing is another plus point of this binocular. This is a series of large aperture binoculars that are a phenomenal value for the best binoculars for astronomy. Ideal for long distance astronomical or terrestrial view. 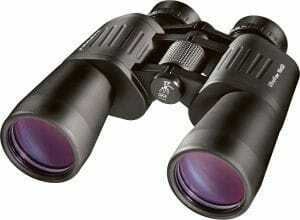 They are sleek and superb quality binoculars that rival the very best models. The Celestron 72022 SkyMaster DX 8x56 Binoculars are nitrogen-purged and fog proof. You won't have to chose them with fear of durability. Thanks to their waterproof design. They are lightweight and easy to use. They provide superb image quality with BAK-4 prism, fully multi-coated optics, diopter adjustment for sharp focusing, and they are super lightweight for their aperture size. Full size porro prism units will always have a place, thanks to their great depth of field and three-dimensional views. With long eye relief for comfortable viewing and an excellent depth of field that provides a good overview without the need for constant refocusing. This binocular is a perfect "gateway gear" to heavyweight stereoscopic stargazing. Orion produces the best binoculars for astronomy. Brazen up for great views of comets and a ton of other celestial sights with this amazing binocular. This value-packed bundle includes our extra Heavy Duty (XHD) paragon-plusXHD field tripod and a pair of powerful 20 x 80 astronomical Binoculars. An integrated heavy-duty tripod adapter lets you easily attach the binoculars to the included paragon-Plus XHD Tripod for comfortable, stable tripod-mounted observing sessions during the day or at night. The Orion 20x80 Astronomical Binocular & XHD Tripod Bundle is designed with great features such as high-transmission BAK-4 porro prisms, fully multi-coated optics and gigantic 80mm (3.14") aperture objective lenses. With the 3.2-degree field of view this binocular will astound you with bright views. These big binoculars will have great performance on comets, star clusters, bright planets, the moon, and other cosmic curiosities. Ideal Scenario: Wildlife, scenery, and other daytime targets. Those who wear eyeglasses know how frustrating it can be using binoculars. You must lower your binocular and replace your eyeglass to scan the scene again with just your eyes. How do you overcome this challenge? Well, Presenting The Orion 09351 Ultra View 10x50 Wide-Angle Binocular, are the answer to your need. 10-power ultra View binoculars with eyeglass-friendly eye relief for comfortable stargazing while wearing corrective lenses. Luxurious extra-long 22mm eye relief and twist-lock eyecups allows those that wear eyeglass to leave their glasses on and explore the full field of view. Rugged cast-metal alloy body stands up to field use; rubberized armor for a firmer grip. Included is a soft case, deluxe wide neck strap and lens caps. The power of a binocular is the same as the degree of magnification. In binoculars for astronomy the more is not necessarily the better since greater magnification may cause blurred images in the dark, unless it is used in the daytime. So the best binoculars for astronomy come with adjustable magnification. Stargazing is an activity that may involve holding the binocular for hours, to avoid sore hand with users, best binoculars for astronomy come with tripod adapters. Of course this an understatement saying that the best binoculars for astronomy are of a high quality. It is not among the best if it does not last long. Quality also may include a high resistance to weather and bumps. ​The best binoculars for astronomy will afford to be used by both glass wearers and non-wearers comfortably. If you are not very experienced with binoculars, it is preferable to start with low-cost ones. The performance of a binocular is mainly measured by the magnification. But for a binocular for astronomy it is better to go for the adjustable ones. Since the greater magnification may not be the better. If you are a newbie, it is better to go for smaller binoculars first before going for the bigger ones that come with many gadgets along with them. This is the size of the large lens at the end of your binoculars, they are indicated in the name of the binoculars and is measured in millimeters. The larger the objective lens, the more light your binoculars can potentially let in. The objective lens determines how much light can enter your binoculars, but the exit pupil is what determines how much light enters your eye. The exit pupil is calculated by dividing the objective lens size by the magnification of the binoculars. This is always measured in degrees. the higher the degree the better. Whilst the size of the objective lens and the exit pupil are very important, they are still not all when it comes to just how well your binoculars will perform in very low light conditions. Transmittance is a term used to describe the percentage of light that is not lost through the optical system. Transmittance is dependent on the quality and number of optical glass elements in the lenses and prisms, configuration and size of prisms, collimation of the optical systems and the type and amount of anti-reflection and high reflectivity coatings on the lenses and prisms. This feature may not be displayed by many manufactures, but with this explanation you can know what it is all about. Question: Are zoom binoculars any good? Answer: Definitely zoom binoculars have good sight. A binocular that has variable magnification power is called a zoom binocular. With the binocular, you can see any object clear and close. Question: Why do binoculars have green lenses? Answer: If you ever use a binocular, you noticed most all the object you see green and all the images are green. The only reason is, our eyes are more sensitive to green light and for the reason, binoculars have green lenses. Question: what to look for when buying astronomy binoculars? Answer: Some features that should look before buying astronomy binocular such as magnification power, an objective lens, exit pupil, size and obviously cost of the binocular. Question: Can I see stars with binoculars? Answer: Of course you can see. Stars are close to the earth and you can see stars and their cluster easily. After that, you can explore many things of the Milky Way. Question: What can you see in space with binoculars? Answer: You can see many items in space sights with binocular such as Saturn, Orion Nebula, Moon, Lagoon Nebula, the Pleiades, The Milky Way, and so on. Question: Are binoculars better than a telescope? Answer: Binoculars are perfect when you need to see any object in less distance. But, if you need to have a clear idea about long distance object then you need a telescope. A telescope also allows seeing trifles of our neighbor planet or moon. Question: Is it safe to look at the moon with binoculars? Answer: The moon always emits low light than the sun. The lights emitted by the moon never exert any harm to the eyes. So, seeing the moon with binocular is definitely safe. Question: Which binoculars are most powerful? Answer: It is identified by the features. High magnification power binoculars are always more powerful. The objective lens is also an important part. A powerful binocular always requires a wide objective lens. Question: What is the difference between porro- and roof-prism binoculars? Answer: Roof prism binoculars are made compact and designed in a way so that lights go straight through the barrel. On the other hand, Porro prism binoculars are made in an old style and have jog through each barrel. Question: What does Andromeda look like through binoculars? Answer: It looks like a dim, fuzzy star when you look naked eyes. But with the binoculars, it looks like a small elliptical cloud. From the above write up and considering the points with explanations and features for finding the right binoculars for astronomy. 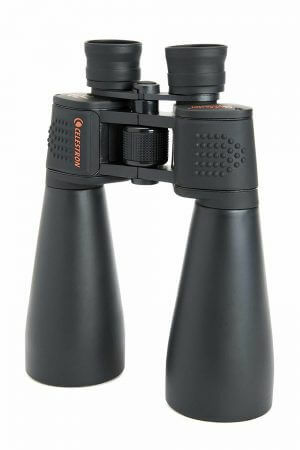 You must come to realize that when choosing binoculars you need to be conscious of the fact that they are merely tools. It's what you can do with them that matters. So do not be caught up in specifications and perfection and lose sight of the point, which is that the best binoculars don't call attention to themselves by demanding constant adjustments or tiring your arms or eyes. So what you see is more important than what you see it with. Another point is that there are cost-effective binocular models that can still give the optimum performance. So whatever your budget may be, all it takes is the right information to get what works well at your purse level. Checking up customer reviews for a product is also a good idea.